Mr. Wm. 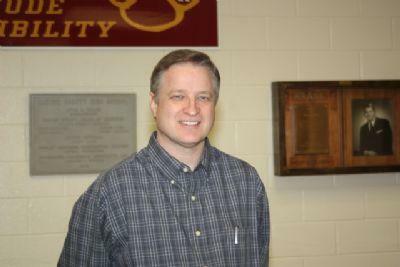 Freddy Curtis, US Government and Sociology Teacher at Cannon County High School has been selected as 1 of 25 Teachers Nationwide (Grades 6-12) to attend the C-SPAN 2011 Summer Educators' Conference in Washington, DC on July 14th-15th, 2011. He was selected after completing an application process that included an essay regarding utilizing C-SPAN in the classroom and sharing C-SPAN resources with fellow educators. How to navigate C-SPAN's online resources (c-span.org, C-SPAN's newly launched Video Library, Congressional Chronicle, and C-SPAN Classroom); Enrichment opportunities available for students and educators (StudentCam, and Teacher Fellowship Program); and Successful techniques for successfully using C-SPAN resources to enhance learning. As a guest of C-SPAN, they will provide and arrange for Curtis's roundtrip travel to Washington, DC, and hotel accomodations on Wednesday and Thursday nights (July 13th & 14th, 2011). Curtis stated, "I am honored for this selection and look forward to sharing about C-SPAN at the In-service meetings before the 2011-2012 School Year! I am very excited, because I have never been to Washington, DC!" great job Mr. Curtis. You are great at what you do. Keep it up.